Have you ever wanted to write faster but deeper? Write a quickie romance and finish it? Join a zany group of romance writers on a storytelling journey? 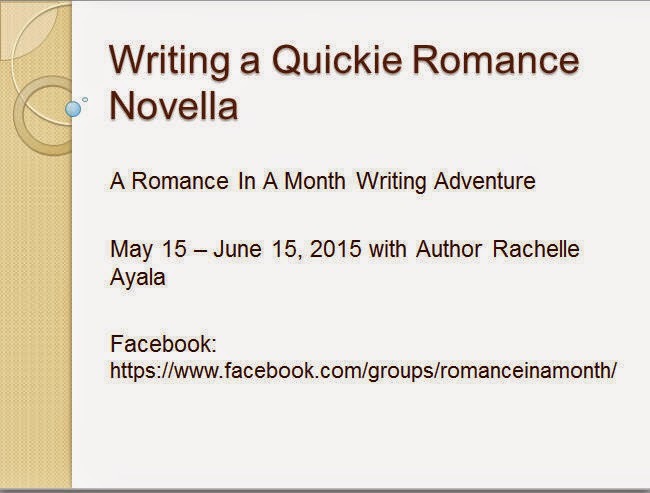 Hi, I'm author Rachelle Ayala, founder of the Romance In A Month method, and I'm here to invite you to our next writing adventure, coming up May 15 to June 15, where I will show you how to write a novella - with emphasis on romance - in a month. 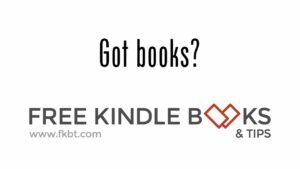 A novella is 20000 to 40000 words and the market for this story length is exploding due to Kindle, ereading, apps on cell phones and tablets, and our modern, multi-tasking existence where readers no longer have the leisure of lounging by the poolside and sinking into a four-hundred page tome. A novella, especially a romantic one, has to be a complete story and deliver a satisfying reading experience despite being short. In this class, I will show you how to a) structure your novella, b) create characters with a targeted flaw and deep-seated desire, c) trim your subplots to point solely to the single theme, d) provide enough depth to your scenes to immerse the reader without extraneous detail and side trips, e) deliver the punch of a satisfying resolution without leaving your reader in a lurch. 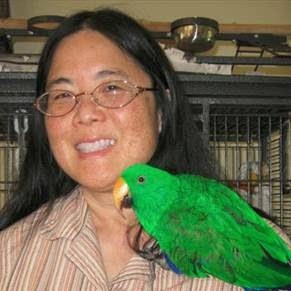 Look for the lady with the green bird (me), and see you there! Hmmmm Looks like a good idea. I have this idea for a Teen romance, but don't think I have enough ideas to make it into a full-length nove. Maybe its a good candidate? Yep, join us! it'll be fun. we're starting tomorrow.